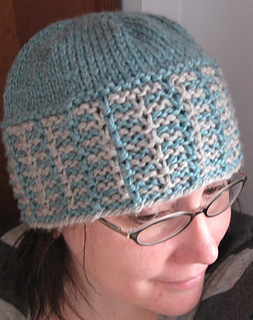 Grab some bulky yarn and whip up a hat to match your Adderley Shawl. This chunky hat will keep your head warm, while keeping you looking good. 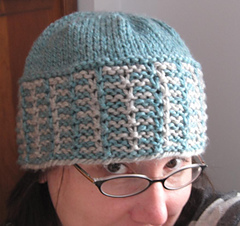 Like the complimentary shawl, this hat uses slipped stitches for the edge. 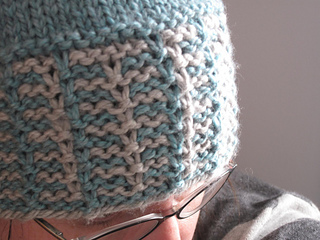 Only one color is being worked at a time, making this hat a cinch to knit! Leftovers are great for this hat. Only ~50 yards are needed of each color.